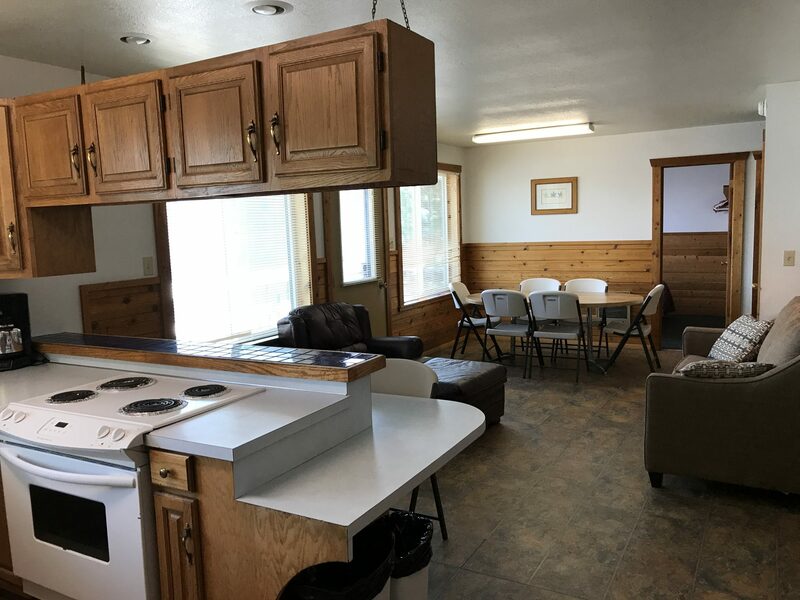 Enjoy your vacation at Curlew Lake in this four bedroom, lakefront cabin. 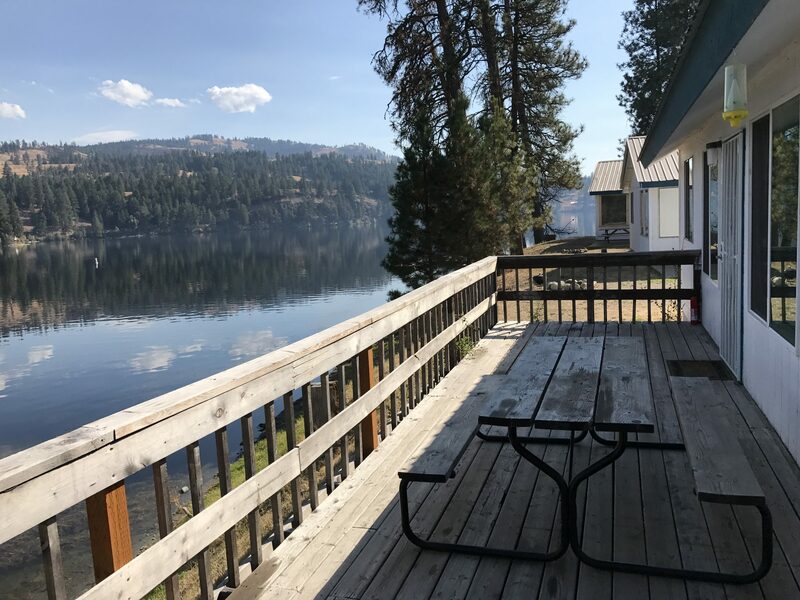 Featuring a huge wraparound deck, this cabin is turnkey ready, furnished with comforts reminding you of home. Enjoy your morning coffee on the deck as the sun rises across the lake above the nearby mountains. It doesn’t get much better than that! *We request a three night minimum reservation. Includes parking space for up to two vehicles! 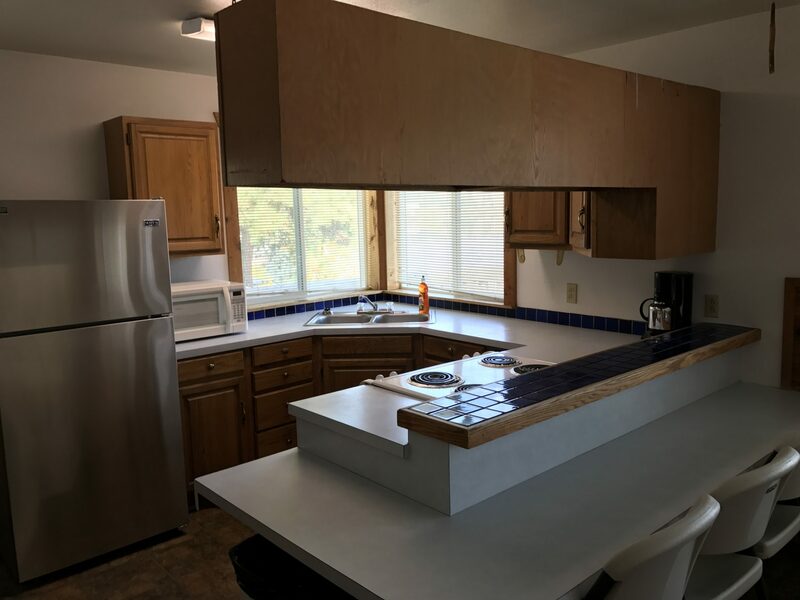 The large, open living space is furnished with a hide-a-bed and large table with seating for eight, fully furnished kitchen and a bathroom with shower. Free Wi-Fi access. See resort map. Dine indoors at the kitchen bar, dining room table or outdoors on the deck on the picnic table!